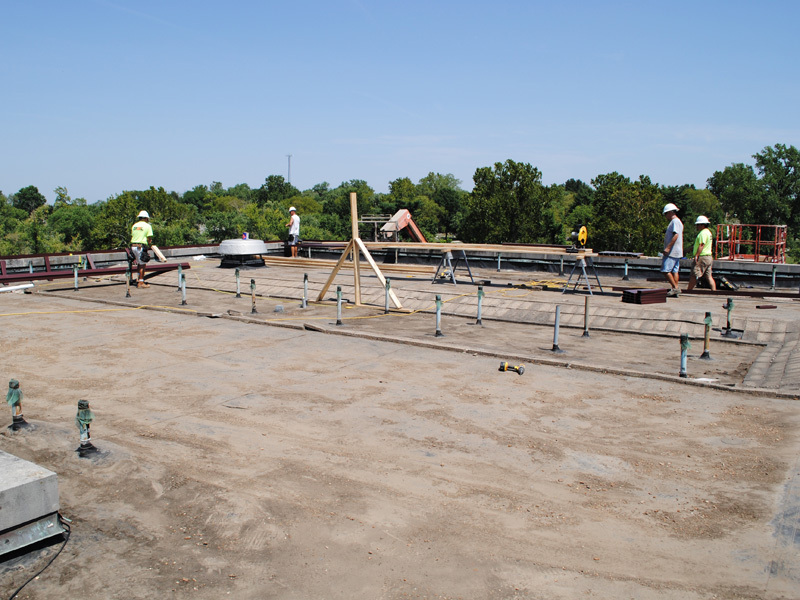 By design, flat roofs with conventional membranes have a host of problematic conditions. For example, their inability to shed rainwater promotes premature failure of the weathering membrane and its substrate. They are subject to harsh conditions caused by membrane deterioration from UV degradation, thermal expansion/contraction, ponding water and infiltrated trapped moisture that freezes in the winter and steams in the summer. The result is constant maintenance, unexpected patch and repair work as well as inevitable roof replacement. Conventional tear-off and roof replacement is not a long-term solution. 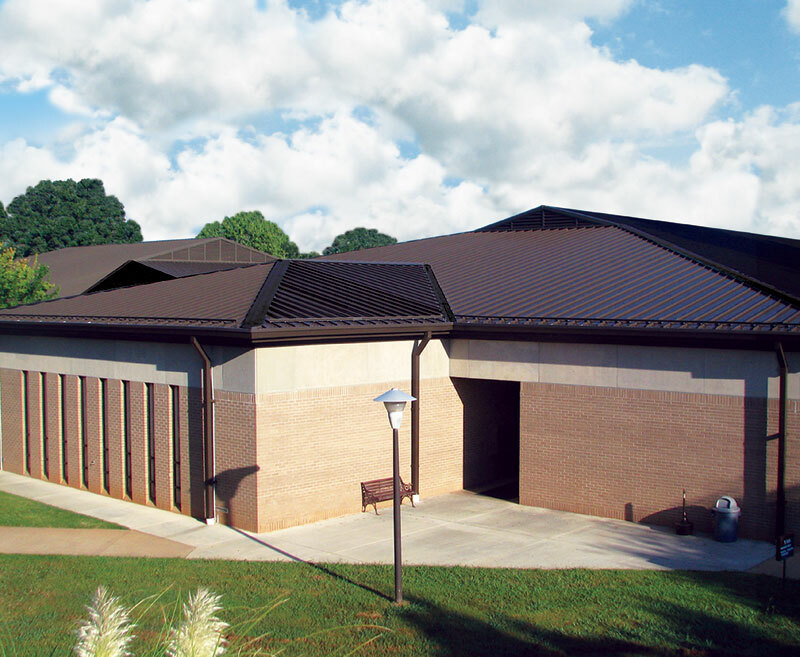 McElroy Metal Retrofit Roofing Systems provide long-term life expectancy and reduced life-cycle costs. 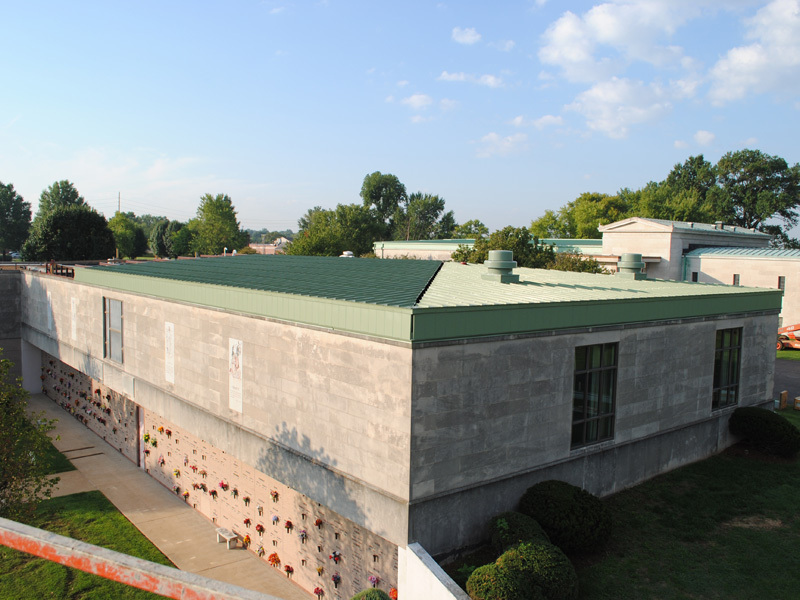 In many cases, the cost difference between a conventional roof tear-off and replacement compared to a retrofit metal roof system is a return on investment which can be recouped in just a few short years. As an added plus, McElroy Metal Retrofit Roofing Systems provide curb appeal which simply cannot be achieved with flat roofs. 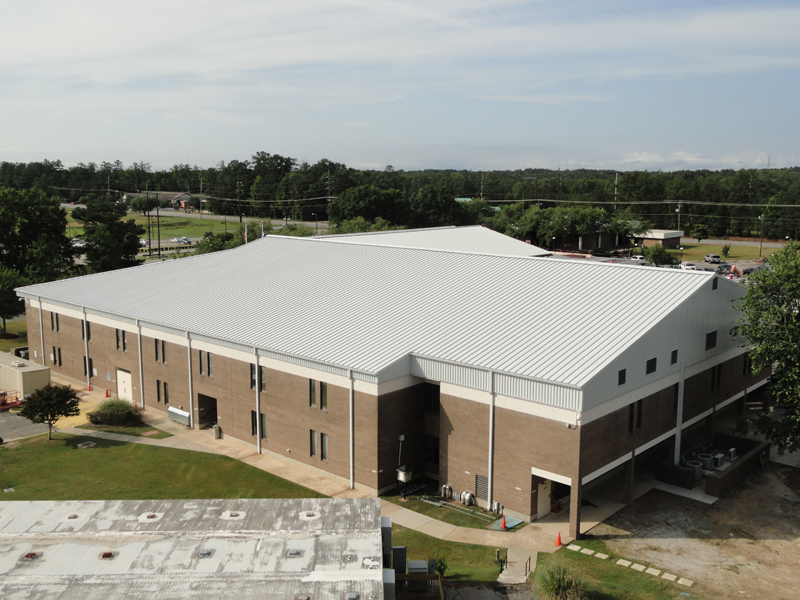 McElroy Metal Retrofit Roofing Systems are engineered to adapt to the existing roof’s structural support system whether constructed of steel, concrete or wood. The importance of engineering the new retrofit framing system is hallmark to the overall project. 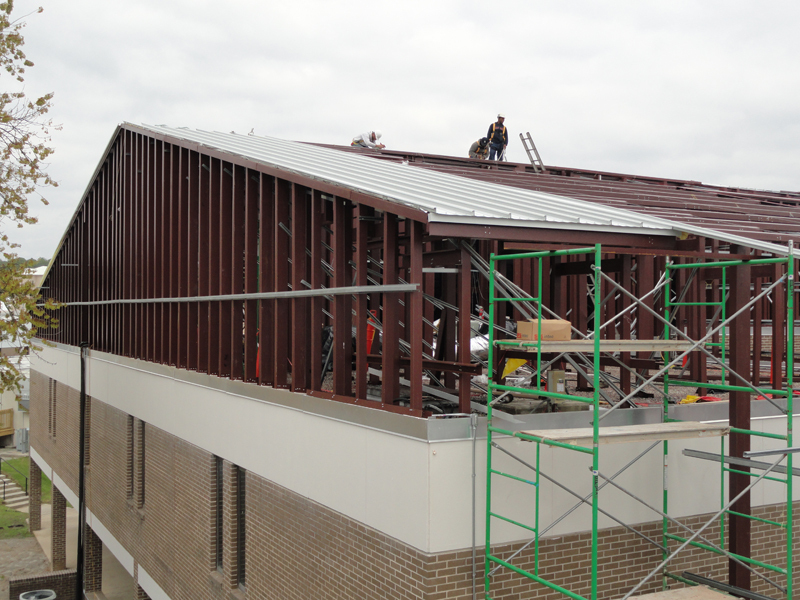 The most common framing assembly for a metal roof retrofit is the Post and Purlin system. As shown in the following illustrations, the system can be employed for installation over existing roofs with steel or wood framing as well as structural concrete systems. 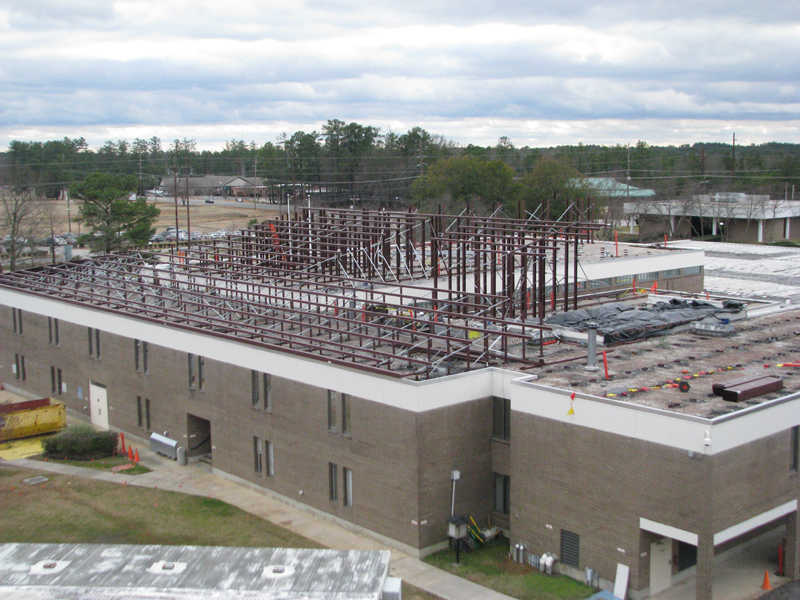 The metal roof retrofit system is installed over steel bar joists that are spanning parallel to the new roof slope. The Post and Purlin system adds a continuous base zee, which enables it to be installed over steel bar joists that are spanning perpendicular to the new roof slope. For existing buildings with wood framed roofs, the Post and Purlin system uses a continuous base zee installed perpendicular to the existing wood joist. The base zee is required for these types of roofs, regardless of joists' span direction. 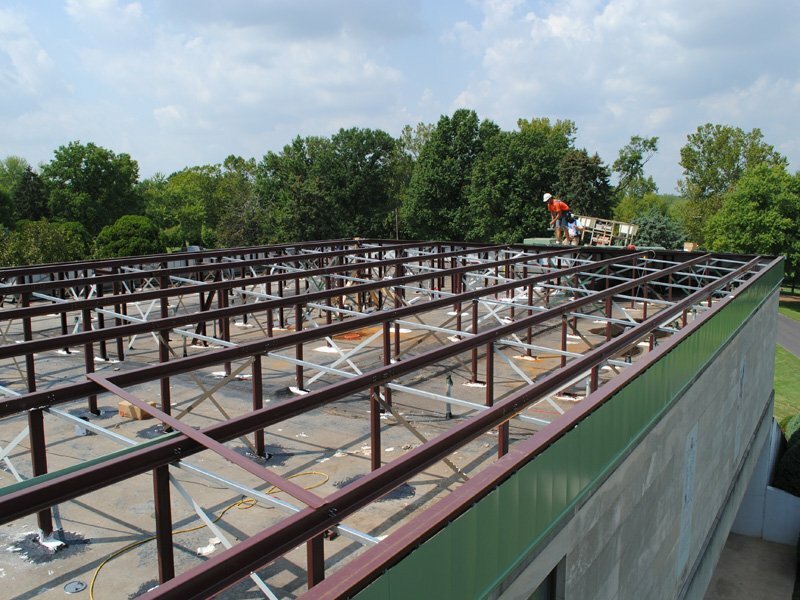 For structural concrete roofs on existing buildings, the Post and Purlin system uses base shoes and posts that are installed centered over the existing concrete beams. When the beams span perpendicular to the new roof slope, a base shoe is still used, dependent on the spacing of the beams in relation to the retrofit purlin's span capacity. Otherwise, a continuous base zee would be included in the system. 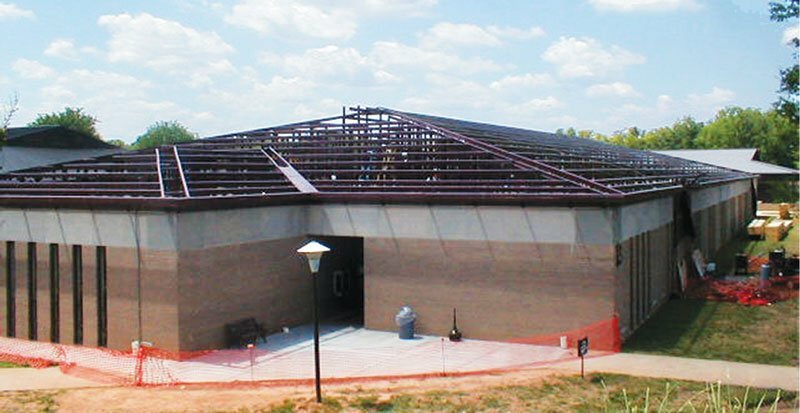 Similar in concept to the Post and Purlin system, McElroy's Wide-Span framing system offers a unique method for specific applications where the existing roof's primary support systems are parallel to the new roof slope. In this illustration, a continuous base zee is placed directly over the existing primary framing (beam or load-bearing walls). Adding a continuous zee rafter supported by posts that are installed directly over each existing joist, will enable the new zee purlins to be placed as needed to satisfy design wind and snow loads. 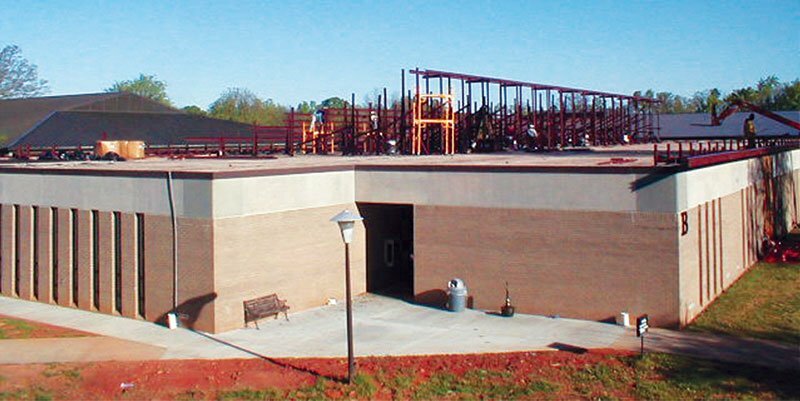 This system can easily be designed for purlin spans up to 30'-0" using 6" to 10" deep zee purlins.